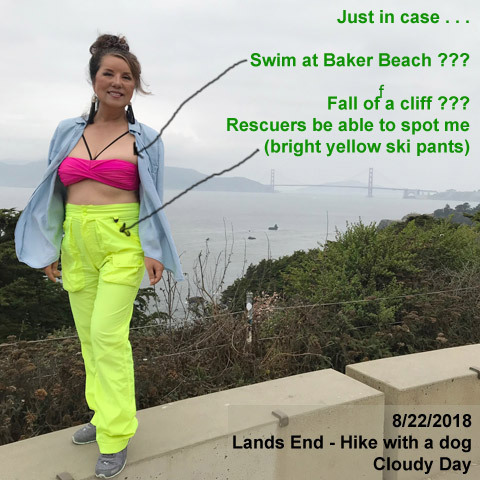 8/22/18: I’m well prepared for hiking. Why am I wearing yellow ski pants? Last year, a woman fell to her death from a cliff.